Asia Cup is an annual tournament held between the top Asian countries in a round-robin format. Asia Cup came into existence in the year 1984. India, Pakistan, Sri Lanka and Bangladesh are the major nations participating in this prestigious tournament. This year commemorates the 14th edition and is going to start on 15th of September. Virat Kohli led Indian side once again goes as the favourites to win the prestigious cup. The selectors haven't announced the squad for the Asian Cup, and it can be anytime soon. 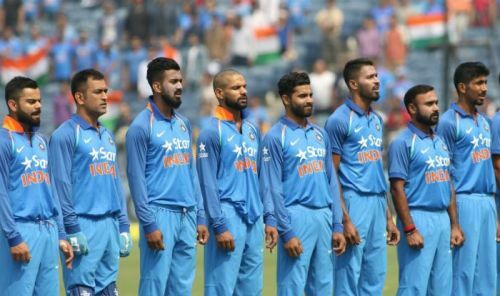 Let us look at the strongest Indian playing XI for the Asia Cup. Team India has one of the most destructive opening pairs in the World cricket having Rohit Sharma and Shikhar Dhawan. Both of them had a fair amount of success when it comes to this form of the game. Rohit Sharma has a good record playing against the Asian countries, scoring 264 runs against Sri Lanka in 2014. Rohit Sharma, the current vice-captain, is an integral part of the Indian limited overs side. Shikhar Dhawan will add the extra stability to the opening order along with Rohit Sharma. The left-handed batsman who made his ODI debut against Australia in 2010 has scored 4481 runs in his 105 ODI games. Virat Kohli, the current skipper, is in good form scoring quick runs against England in the Test series. Kohli is a certainty and will hold the key for India's success in Asia Cup. Kohli who made his ODI debut against Sri Lanka in 2008 has scored 9779 runs in his 211 ODI games. KL Rahul who was in great form against England in T20is failed to replicate the success in ODIs. Rahul who made his ODI debut against Zimbabwe in 2016 has scored 257 runs in his 12 ODI games. Suresh Raina who made his ODI debut against Sri Lanka in 2005 has scored 5615 runs in his 221 ODI games. At No.5, Raina could be one of the best finishers and could help India post a big total.